Many thanks to whoever had Tiger and Toaster delivered to my door tonight! 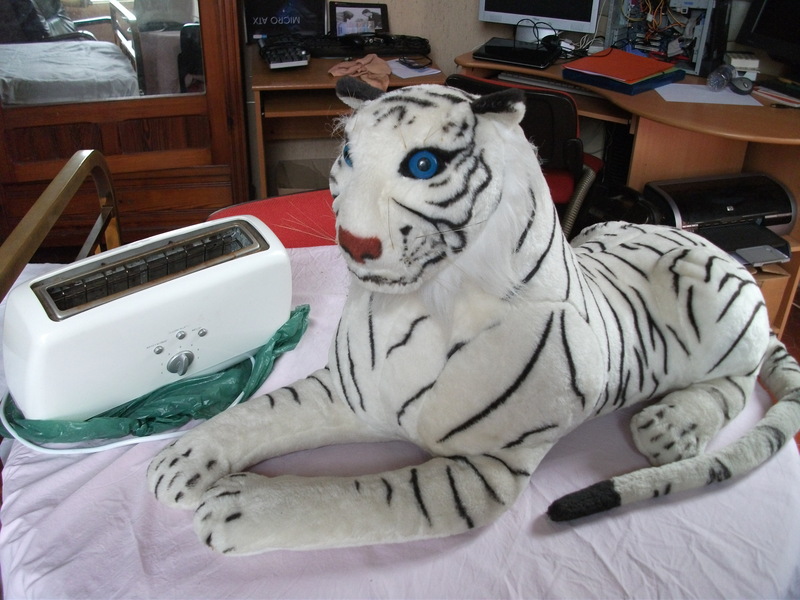 Tiger is gorgeous(white and blue eyed, like my painting) though a little moth-eaten, and Toaster is …overused and burned out! 😛 I’ll take pics tomorrow and add them to this post. ****** Edit July 4, morning : Here they are.